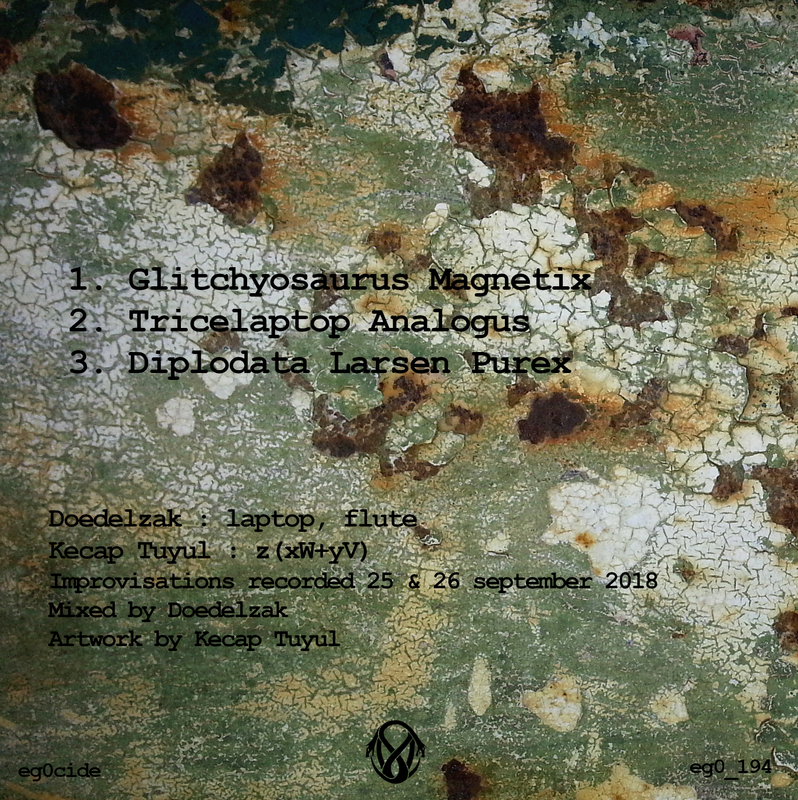 The shaman won’t come back is a new file-exchange based collaborative album of Ayato & Kecap Tuyul, It was recorded and mixed in various places between 2015 and 2018. 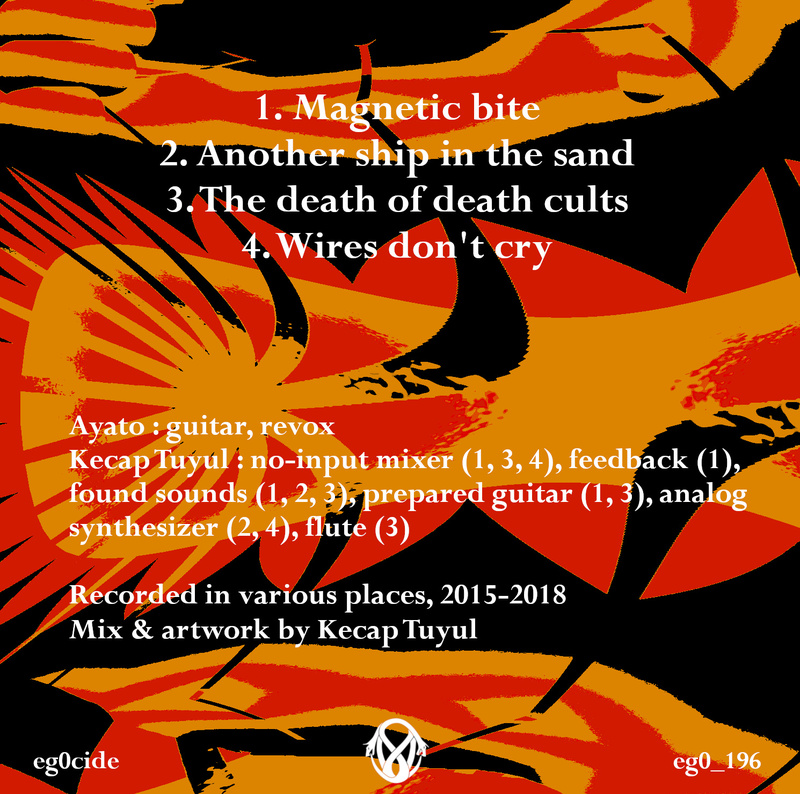 Ayato played guitar with live looping made with a Revox reel to reel tape player, and Kecap Tuyul later overdubbed these hypnotic tracks with various sounds, building dense and trippy soundscapes. This work can be considered as the 3rd part of a trilogy started with Waiting for the shaman , published 6 years ago. For the moment, the 2nd part of this trilogy exists only in the head of the listener. Birds (Song thrush aka Turdus philomelos) songs used on track 2 have been recorded by Lars Edenius and are licensed under a “Creative Commons Attribution-NonCommercial-ShareAlike 4.0” License. They are available on the site xeno-canto.org . The other found sounds used by Kecap Tuyul came from older sources whose exact origins have been forgotten.